The Fall 2007 collection includes Bat and Spider Activities, Math-Literature Connections with math activities to complement the books, a new coordinate graphing game, new fall problem solving tasks and a list of links to additional fall activities on the internet. Math-Technology Connection: The newest addition to this collection of Mathwire activities is a Math-Technology connection that utilizes technology in a problem solving activity. Students may opt to solve the Insect-Spider problems using the Mathwire.com Excel spreadsheet. These problems are a seasonal spin-off of the familiar cows and chickens problems and challenge students to figure out how many insects and spiders there are for a given number of heads and legs. The spreadsheet allows students to simply input guesses for the number of insects and spiders, then it calculates the total number of heads and total number of legs. Students may use this data to refine their guesses, if necessary, to arrive at the perfect combination. Check out the new Fall 2007 Math Activities. 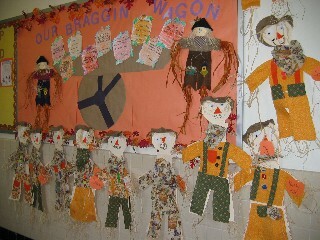 See Fall Math Activities 2006 collection. 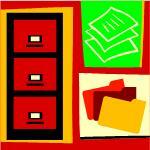 See Fall into Math, the 2005 Math Activities collection. The hundred board is an important tool in mathematics. Students need lots of experience with the hundred board to build number sense. Young students use this tool to order numbers, to count on, to skip count, and to add or subtract by moving ahead or moving back. This helps them visualize patterns in numbers and counting and helps develop an initial sense of place value as they realize that moving across the board adds or subtracts 1, while moving up and down the columns adds or subtracts 10. Older students use the hundred board to study factors and multiples. Through consistent use of this tool, students begin to appreciate the embedded patterns and use these patterns to solve problems. Hundred Board Logic Problems build on these patterns and require students to apply the mathematical concepts they have learned. 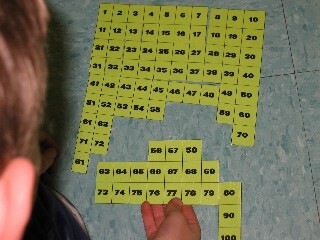 Hundred Board Activities include hundred board puzzles, the Swiper missing numbers activity and a math-literature connection using the Navajo legend, How the Stars Fell into the Sky. More Hundred Board Activities include Hundred Board Magic about arrow patterns on the hundred board, Rocky Raccoon missing number puzzles, and suggestions for center activities. Hundred Board Logic Problems requires students to use clues to eliminate numbers until the solution is revealed. Many students learn through music. Witness the number of adults who easily sing the ABC song with their own children. Composers are beginning to develop math-specific songs to help students learn math concepts and skills. Whether teachers use a song to introduce or reinforce a concept, or as a regular part of calendar time, students are bound to benefit from the multi-sensory experience. Check out the new Mathwire page: Math Music for songs, lyrics, and links to CDs of Math songs. This new Mathwire.com collection includes back-to-school glyphs, math-literature connections, problem solving activities and morning routines. Find some new activities for those first weeks of school.